I’ve made this before and I’ll make it again. It really is just delicious. 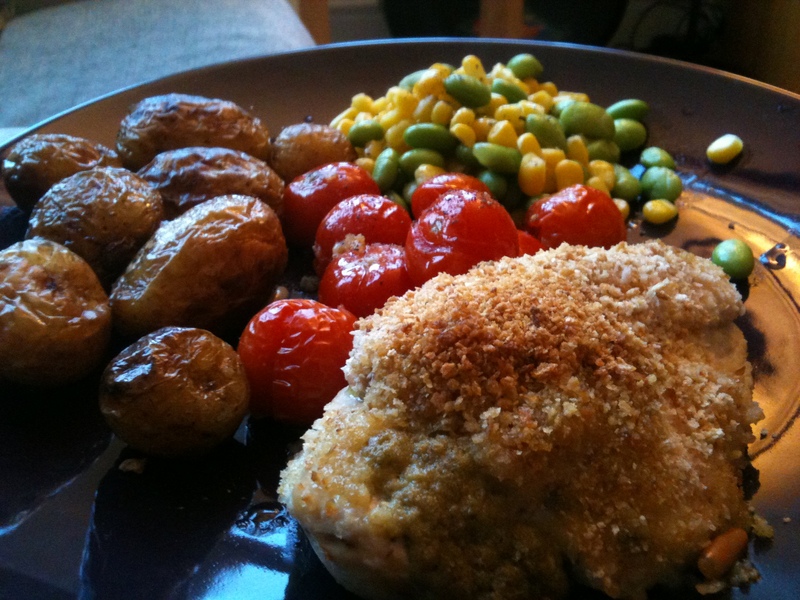 Homemade pesto (from the PestoMaster) and marscapone stuffed inside chicken with breadcrumbs over the outside, baked with tomatoes. Just right for a friday night after a long week at work.